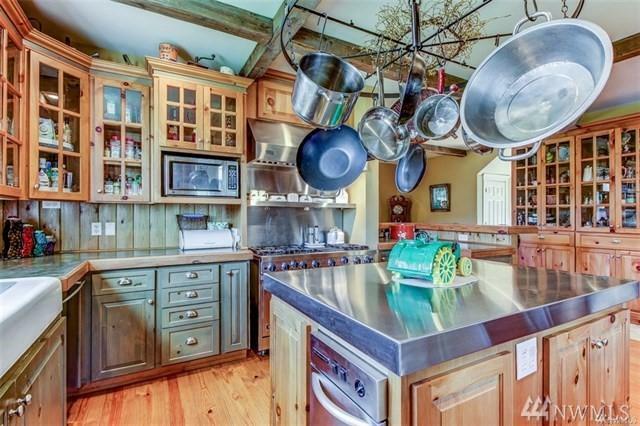 This Timeless New England Salt Box Estate on 55 acres boasts of handcrafted exposed beam ceilings, chef's dream kitchen w/SS commercial grade appliances, concrete counters, island, formal living, dining & parlor rooms. Floor to ceiling cultured stone family room.Master suite s/built in porcelain counter dressers, ceramic bathroom w/clawfoot & double shower. Full basement w/media, 10 person bar,guest room. 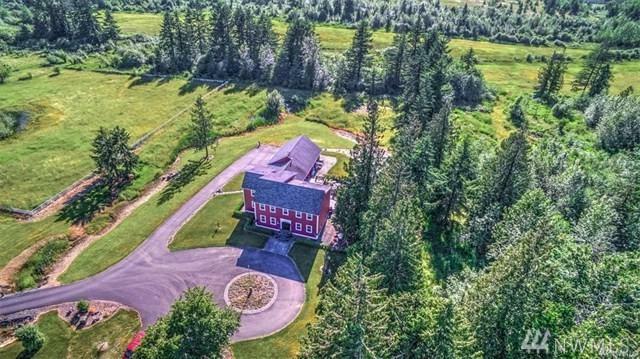 Decks, paved entry,Equestrian 5 stall barn, 3 loafing sheds and more! ASK 4 FEATURES LIST! 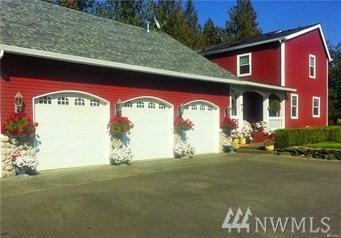 Listing Courtesy of Yelm Real Estate.